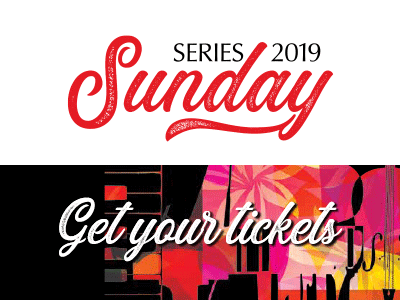 For a limited time only, full series tickets are available for the 2019 Sunday Concert Series. This gives you entry into each of the 6 concerts as part of the 2019 Concert Series. Early Bird bookings close February 2, 2019. Concert 1: February 3, 3pm. Kaleidoscope. Artistic Director Patrick Brearley begins the year in style with a string quartet and visual art created by Tanja Ackerman, taking you back in time to journey through the Nordik regions and hear traditional Scandinavian folk music that will melt your heart and leave you inspired. Concert 2: March 17, 3pm. Jonathan Bekes & Ying Ho present a stunning recital for Cello and Piano, including a combined performance with the Academy. Concert 3: April 14, 3pm. Arcadia Winds. In their second visit to the Coffs Harbour Regional Conservatorium, Arcadia Winds present a program of incredible wind esenmble reportoir. This will include a combined performance with the Academy. Concert 4: June 16, 3pm. Julia Hastings Presents: Fame, Fortune, Lies: the Life and Music of Eileen Joyce. Concert 5: August 11, 3pm. Lachy Hamilton Trio. After their well received debut visit to the Coffs Coast in 2018, Lachy Hamilton Trio will be returning as part of the 2019 Sunday Series to present a wonderful program of jazz. Concert 6: October 27, 3pm. Modern Romantics. To finish the 2019 Series, Artistic Director, Patrick Brearley, has brought his colleagues and friends together for an afternoon of chamber music that will bring the series to a very fitting close. Ernest Bloch will have you on the edge of your seat with his remarkable 1919 Suite for Viola and Piano. This is followed by Mendelssohn’s Piano Trio in D Minor, and then the stunning Strauss Piano Quartet in C Major.